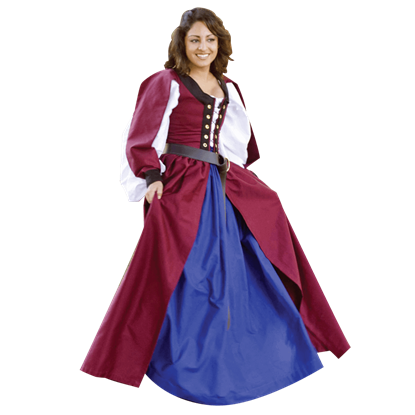 We offer a vast array of Scottish clothing and Celtic clothing perfect for historical reenactments, costume parties, and stage productions. 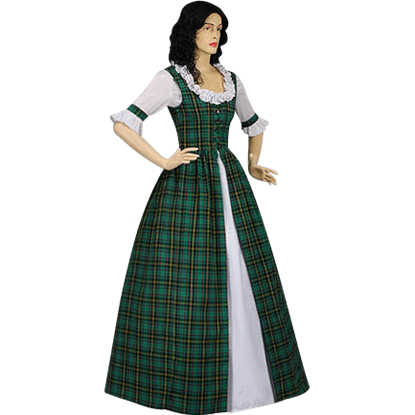 Our Celtic clothing includes Celtic chemises, Celtic skirts, and Celtic bodices for ladies, while our Scottish clothing extends to tartan kilts, Scottish dresses, Highlander shirts, and Scottish doublets. 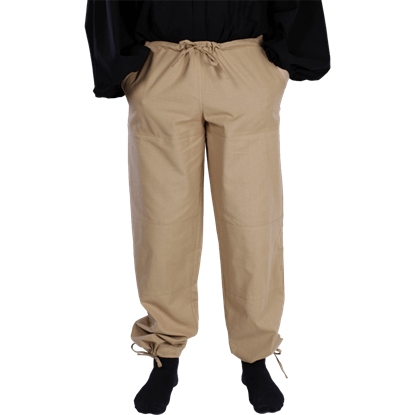 All our Scottish and Celtic apparel is made from fine quality materials that come in a variety of sizes and colors. Whether you are trying to be a Celtic warrior like Boudicca or a Scottish Highlander like William Wallace, we can provide all the historical clothing items to meet your needs. In addition to Ren fairs, Scottish kilts have also begun to grow in popularity in modern culture, especially on holidays like Saint Patricks Day and Saint Stephens Day. The kilt is a classic piece of Scottish Highland attire, but as important as the garment is the tartan, which can easily identify any as a member of a certain clan. This Black Urban Kilt is a more modern-day piece for any to wear. The kilt is a classic piece of Scottish Highland attire, but as important as the garment is the tartan, which can easily identify any as a member of a certain clan. 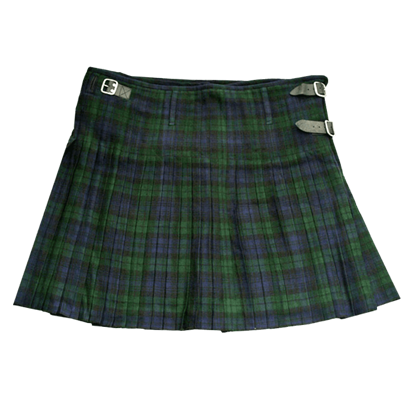 The Black Watch Tartan Kilt features the tartan belonging to its name. The Celtic Chemise was worn under all medieval ladies clothing. Our well-made chemise has very long sleeves and ties at the shoulders. It is a very special Celtic look that goes well with almost any gown. The Celtic Chemise is made of 100 percent cotton and features bell shaped sleeves and a drawstring at the neck. The Celtic Chemise is designed to be worn as an undergarment with medieval clothing and dresses. 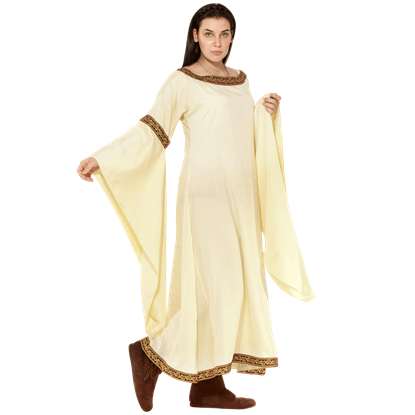 This Celtic Chemise is a beautiful handmade rayon medieval chemise. The Celtic Chemise has a generous length of drawstring at the neckline with full, long sleeves. The Celtic Chemise is worn under gowns and skirts, like a medieval slip. Our Celtic Decorated Chemise is made of 100 percent Cotton. The Chemise has a beautiful lace that runs along the sleeves. The Celtic chemise has elastic around the neck to give the option to wear on or off the shoulder. Made of cotton muslin and machine washable, this chemise with a drawstring neckline has full, long sleeves with metallic trim sewn down them. This chemise is only thigh-length, making it a great option for hot summer days! The women of the Rhine-Danube Valley wore this simple dress over a lein or chemise, creating a style that remains appealing even to this day. 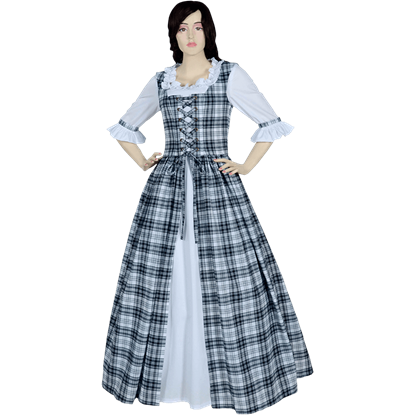 The Celtic Dress is a dress that can be worn with chemises and skirts to great effect.